Understanding that Spanish and English share a lot of common ground is a great starting point if you’re wondering how to learn Spanish for beginners. 1) Why do I want to learn Spanish? 2) How can I learn more about Spanish culture? 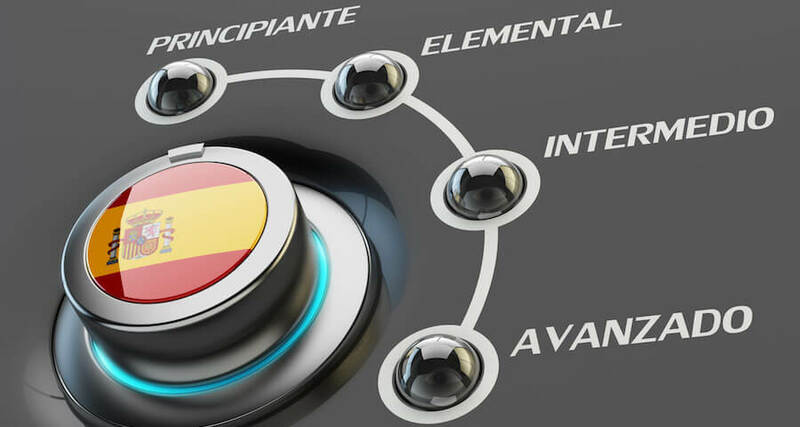 The former is important for helping you develop a learning strategy that meets your needs, while the latter will help you better appreciate the rich nature of the Spanish language. Once you’ve answered those questions in your own mind, the best way for beginners to learn Spanish is to move on with a personal language learning plan that works best to meet those goals. Why is Spanish so Hard to Learn? If you’re reading this, then chances are you understand English. If that’s the case, then you should know that the differences between Spanish and English are not as great as you might think. Both languages borrow heavily from Latin and Greek, and roughly 30% – 40% of Spanish vocabulary words are shared with English. In fact, when it comes to basic sentence structure and grammar, the differences between Spanish and English are slight when compared to other languages. The Spanish language evolved from the Castile region of modern-day Spain and is a member of the Ibero-Romance family of languages. Like many modern Romance Languages, the Spanish language evolved from dialects of Vulgar Latin following the collapse of the Roman Empire. Roughly three-quarters of the modern Spanish language comes from Latin roots, although Greek has heavily influenced Spanish vocabulary. Today, the Spanish language is spoken as the official language in 20 countries and is spoken by large populations across Africa, Oceania and the Philippines. The history of Spanish is as deep and old as Europe itself. Like many modern-day Romance Languages, Spanish finds evolved from Vulgar Latin. This doesn’t mean that this form of Latin used coarse language. The term “Vulgar Latin” simply means “Common Latin”. Vulgar Latin was an amalgamation of many different proto-languages, so when the Roman Empire collapsed, local languages evolved at their own pace. This is the history of the Spanish language, which is why there are so many common roots between Spanish and other European languages today. While the Roman Empire collapsed in the 5th century, it was not until around 500 years later that something akin to the modern Spanish language began to emerge. The history of Spanish finds its roots in the 10th century, though it wasn’t until the 15th century that people came to speak a language resembling what we’d identify as modern Spanish. One of the most important parts of learning a language is understanding its culture, and Spanish is no exception. Of course, if you want to learn about Spanish culture, you first must ask yourself an important question: how do you define Spanish culture? Is this the culture of the country of Spain, or the cultures of the other 19 countries that count Spanish as their official languages? Then again, let’s not forget countries like the United States, where Spanish is not an official language, but there are still over 30M Spanish speakers. Our point about Spanish culture notwithstanding, there are a number of Spanish customs shared across many Spanish-speaking cultures. For example, despite the wide variety of norms across Latin America and Spain, there are many Spanish Customs that are nearly universal; chiefly family values and the role of the Catholic faith share strong roles in Spanish customs across many different Spanish cultures.